Is my dog’s behavior bothering me, or is my dog’s behavior because he’s being bothered by himself? This distinction might seem fuzzy to begin with, but it’s very important. Many dog behavior problems come down to training – your dog barks at the door because you haven’t taught him to stay quiet. Your dog doesn’t sit because you haven’t trained her to. That’s different from a dog who’s suffering from anxiety in which sedatives for dogs might make sense. A dog with anxiety might not sit when you ask because she’s too stressed out by the wind blowing outside. A dog with anxiety might bark at the door because she’s terrified at the idea of people coming inside. A strong emotional undercurrent of fear or anxiety is very different from disobedience. Unfortunately, it can be a bit tricky at a glance to tell if your dog’s behavior is due to anxiety or disobedience. A dog who’s suffering from anxiety might be a candidate for medication – but a dog who’s just unsure how to behave well is not. Startling at moderately loud sounds or relatively common sounds. While many non-anxious dogs will jump at the sound of a dropped frying pan, most don’t startle when you drop a spoon. If your dog is jumpy about just about everything, that’s more indicative of anxiety. Poor recovery. A confident dog will recover pretty quickly after getting spooked. 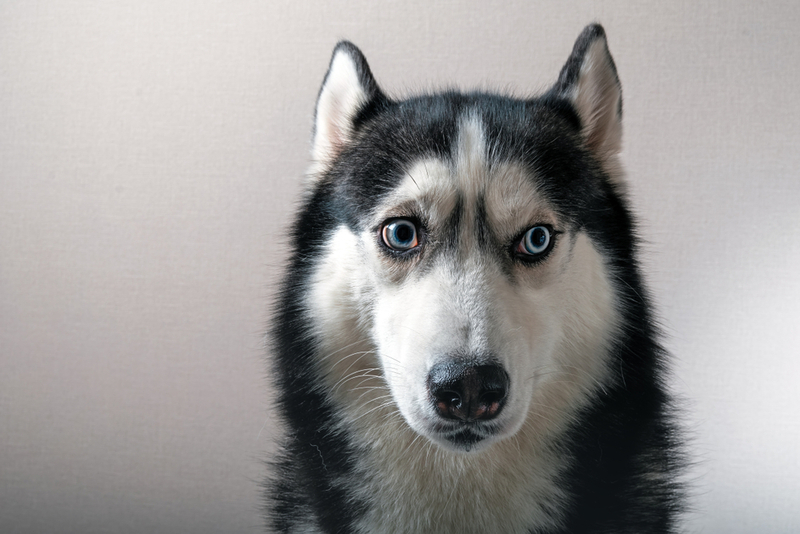 A dog with anxiety might continue acting stressed for minutes, hours, or even days after an event that really shouldn’t have been that stressful. Pacing, panting, wide eyes, and dilated pupils. If your dog often is showing these body language signals, she’s probably stressed a lot of the time. While some panting is normal after exercise or in heat, your dog shouldn’t be pacing, panting, and wide-eyed on an average Sunday morning. Panicking during thunderstorms or while left alone. Again, some amount of nervousness isn’t unusual during storms. But if your dog full-on panics during storms or while left alone, she probably has anxiety. Severe fear of new things, new people, or new dogs. Neophobia (fear of new things) is normal – but most dogs are able to get over it with most new things. If your dog is terrified of strangers, it might be time to talk to your vet. The list above highlights one main point: some amount of fear or nervousness is common and warranted in a given situation. But there’s a level that’s abnormal. Humans are the same way – many of us get a bit nervous before job interviews. But someone with serious anxiety will feel and act much more strongly than other people. 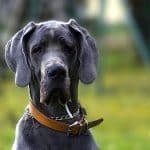 Speak to your vet and experienced dog behavior consultants to get their opinions on if your pup’s poor behavior is due to a medical concern, or simply a lack of exercise. An experienced professional will be able to let you know relatively quickly if your dog simply needs more exercise, or if an anxiety medication is a good next step. 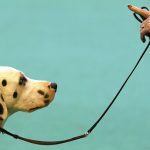 It’s a bit of a myth that massive amounts of exercise can “fix” a dog. It’s simultaneously true that many dogs are woefully under-exercised, which leads to behavior issues. 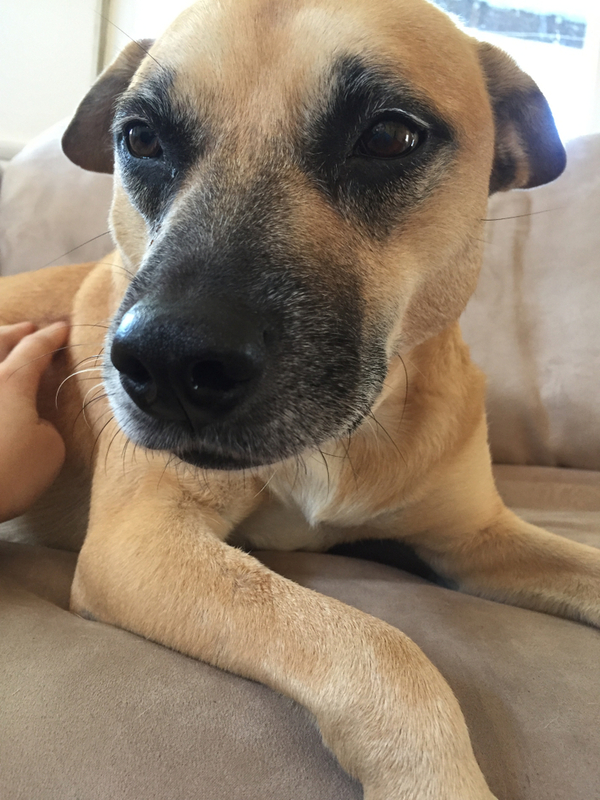 Why Is My Dog Anxious? There are a lot of causes for dog anxiety. It could be that your dog has come from a long line of nervous relatives, giving her a strong genetic predisposition to anxiety. Perhaps your dog’s mother got really stressed during pregnancy, flooding his developing brains with stress hormones that altered how his brain is wired. Maybe something traumatic happened during puppyhood or adolescence, rewiring your dog’s brain due to the trauma. Your dog could have been undersocialized, leading her to now be terrified of normal things because they’re so new and scary to her as an adult. You probably won’t be able to point to the exact moment where something happened that gave your dog anxiety. Certain breeds are more prone to anxiety (like herding breeds and poodles), and anxiety is also common in shelter dogs. In humans, the brains of anxious people react differently to different things, labeling things as threats far more readily. Anxious dogs are likely similar. Therefore, you can’t just ignore this and expect it to go away. 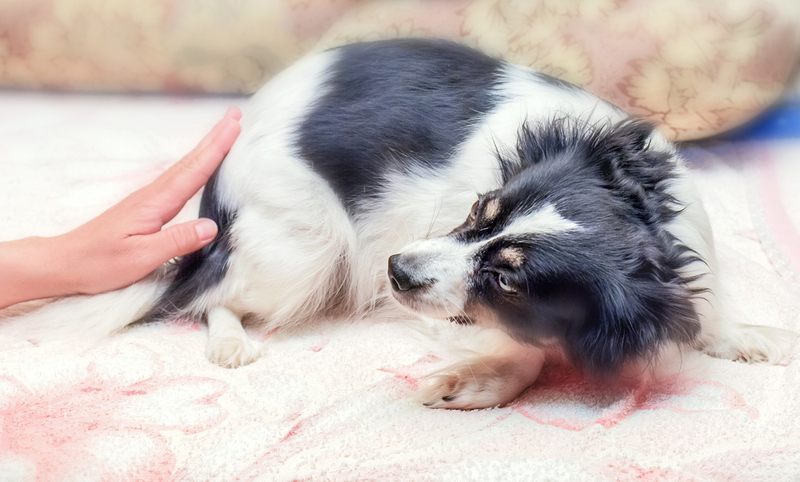 How Can Medications Help Anxious Dogs? Pharmaceutical help, such as sedatives and other dog behavior medications, are often a big component of helping anxious dogs. That’s because the brains of anxious dogs aren’t really primed for learning. Training an anxious dog is like trying to teach math inside of a haunted house. You’ve got to remove the scary things before learning can take place. With anxious dogs, everything might seem scary. That’s where sedatives for dogs can come in. To be specific, though, I don’t really mean sedatives. We don’t generally want to sedate an anxious dog. We want to help the dog feel better. The exception here is Diazepam and other Benzodiazepines, which are sedatives that can be used to knock a dog out before extra-stressful situations, like a vet visit or an upcoming thunderstorm. There are a variety of different dog anxiety meds out there that can help your dog relax enough that your house doesn’t feel so haunted and the daily walk isn’t like a haunted maze. Medications are not a substitute for training and exercise. They should not be used to sedate your dog. When prescribed properly, most medications won’t really put your dog to sleep your dog anyway! 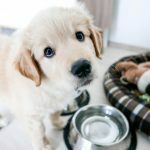 Should Medication be a Last Resort for my Dog? There’s a common misconception that you shouldn’t medicate your anxious or aggressive dog unless you’ve exhausted every other option. I disagree with this sentiment. Why? Because it’s dangerous for the dog and the owner to avoid trying a potentially life-changing treatment until you’re at the end of your rope. 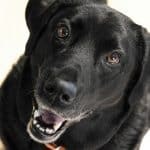 While it’s important to ensure that your dog is getting the exercise, enrichment, vet checkups, and basic training necessary, that doesn’t mean you need to work through a complicated two-year behavior change intervention plan before you consider medication. If your dog truly needs medication, she’s stressed out a lot of the time. It’s unkind to avoid giving medication that can ease her suffering. That doesn’t mean that your dog will always need medications. It doesn’t mean that every dog who’s a bit nervous needs meds. But it does mean that medication is an important option to explore early on in behavioral interventions for many cases. 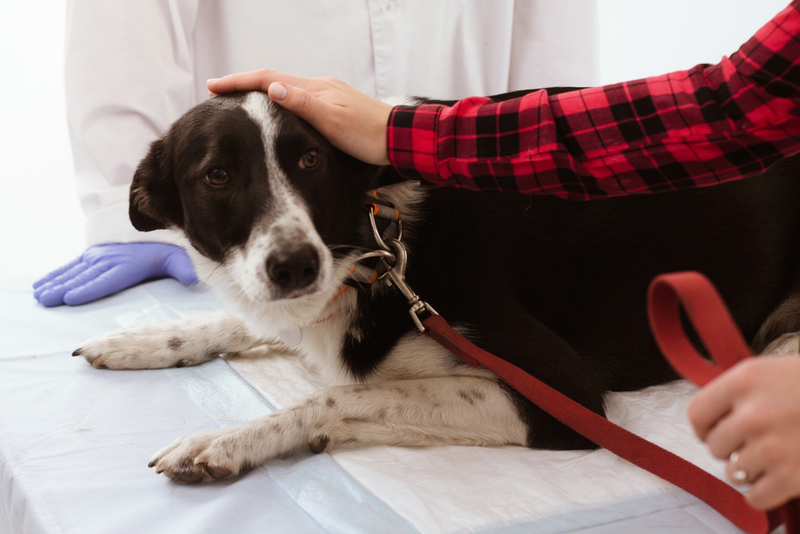 Medication for anxious dogs should always be implemented as part of a behavior modification plan with a Certified Dog Behavior Consultant or Veterinary Behaviorist. Medications alone won’t usually fix your dog! You need training as well. In my line of work (dog behavior modification), we work primarily with behavior modification and ongoing behavior medication. This is not the same thing as sedation. The goal of true sedation (a tranquilizer) is to subdue or “knock out” an animal. Behavioral medication lowers the stress levels for a dog without necessarily changing the dog’s energy or alertness level. Necessary grooming procedures, such as nail trims on a panic-ridden dog. Medical procedures, such as staples or removing a foxtail. During extremely stressful situations, like thunderstorms or long car rides. Sedation, unfortunately, doesn’t mean your dog is calm. She might still be uncomfortable but is unable to engage in fight or flight. Heavy-duty sedation should only be done under the guidance and prescription of a licensed veterinarian. It would be irresponsible (and potentially illegal) for me to even give suggestions of how to tranquilize your dog. Read about the Benzodiazepines below to get a bit more information about true sedative drugs. In less extreme cases, we may just need to “take the edge off” for a dog. This is where some other over the counter and natural remedies can do well. That said, it’s still imperative to work with a vet to come up with the correct medley and dosage. Even natural and over-the-counter medicines can have devastating side effects, especially if mixed. If you don’t truly need to knock your dog out for a situation, you might want to look into another calming option. Some of the options below are natural, but they’re all available without a prescription. Again, please don’t start experimenting with supplements without the guidance of a vet! Treats can also help calm a dog down. These chewable tablets help lower cortisol levels, effectively reducing stress levels. Helps soothe allergies, and can also help make pets a bit more drowsy and relaxed during car rides or for grooming. You shouldn’t give your dog Benadryl if she’s got high blood pressure or glaucoma. These treats are made from L-theanine and thiamine and help calm your dog down for up to 4 hours after eating the treat. They’re great to help get dogs with mild separation anxiety through the day. None of these alternative medicines are going to have an incredibly strong effect. Some show dismal results in research (yet have glowing reviews online). Your vet will be able to help point you towards the best solutions for you and your dog. 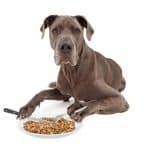 There are some anecdotes that suggest that feeding turkey-based food or treats can also help dogs who get grouchy or anxious around dusk – probably because of the tryptophan in turkey. You may also want to consider a DAP collar or Thundershirt for your dog to help lower stress levels, but both of these measures haven’t been shown to be very effective in studies. What Kind of Dog Medications Are Available for My Anxious Dog? These mimic the neurotransmitter GABA, which helps reduce tension in the brain and the body. Gabapentin is a common GABA analogue. Side effects may include drowsiness or loss of balance. These drugs block norepinephrine, a hormone that causes feelings of stress or panic. Clonidine and Sileo are both Alpha-2 Agonists. Sileo is common for noise phobias, while Clonidine is a mild sedative used for fear, separation anxiety, and aggression. Side effects may include a dry mouth, constipation, discoordination, and lowered heart output (Clonidine). Sileo’s main side effect is drowsiness. These drugs are sometimes prescribed in conjunction with SSRIs or TCAs. They help rebalance serotonin levels in the brain. SARI drugs are often used more situationally, but not always. Trazodone and Buspirone both fall into this category. Side effects may include lethargy, diarrhea, vomiting, panting, hyperactivity, or restlessness for Trazodone. Buspirone may cause nausea, loss of appetite, restlessness, aggression. These drugs prevent the brain from reabsorbing serotonin, allowing more of this “happy hormone” to stay in your dog’s brain. SSRIs often need months to take effect. Fluoxetine (Prozac) is an SSRI. Side effects may include (commonly) loss of appetite; temporary lethargy, vomiting, diarrhea. 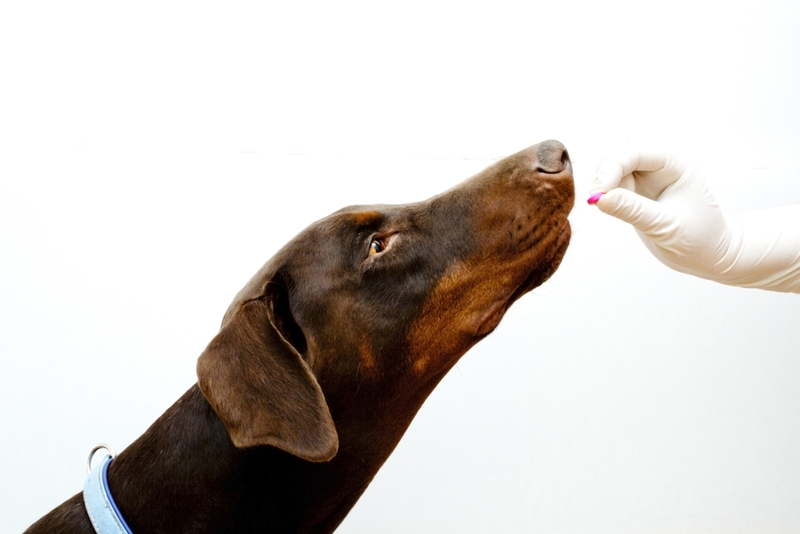 These drugs are most commonly used for dogs that panic in certain situations. They’re essentially sedatives. They have to be given an hour or so before the scary thing happens, which can be tricky. They also can reduce your dog’s inhibition, making a bite potentially more likely. Diazepam and Alprazolam are both BZs. Potential side effects include aggression, lethargy, incoordination, depression, slowed breathing or heartbeat. These drugs increase serotonin and reduce norepinephrine. Each TCA is different, so your dog might not react much at all to one and overreact to another. Work closely with your vet to get the right drug and the right dose. Clomipramine and Amitriptyline are common TCAs. Other TCAs include Doxepin, Imipramine, Desipramine, and Nortriptyline. Side effects may include convulsions, confusion, vomiting, diarrhea, hyperactivity, or drowsiness. Steer clear of Acepromazine (Ace). This used to be a common sedative, but it’s now shown to reduce the threshold for seizures and aggression. Politely ask questions if your vet suggests this drug – it’s not usually a go-to anymore! How Do I Bring Up Medication to my Vet? Most vets are supportive of doing what they can to help their patients. If you’re ready for a prescription, set up a separate appointment with your vet for the visit. What makes the behavior start? What makes it stop? What sets your dog off? How long does it take for your dog to recover? What does your dog look like when she’s upset? What sort of exercise does your dog get? Your vet might want to run several tests, depending on what’s going on and what medications she’s considering. Work with your vet and expect the process to take some time. Don’t be offended if your vet has some questions or concerns. If your vet recommends using an e-collar or ear pinches or other corrections to deal with your dogs’ anxiety or aggression, ask about the research behind those techniques for fixing aggression or anxiety. These training techniques often make anxiety and aggression much worse and should be avoided! If your vet turns you down for behavioral medications, ask why. Figure out what your next steps can and should be. In some cases, you might want to get a second opinion.